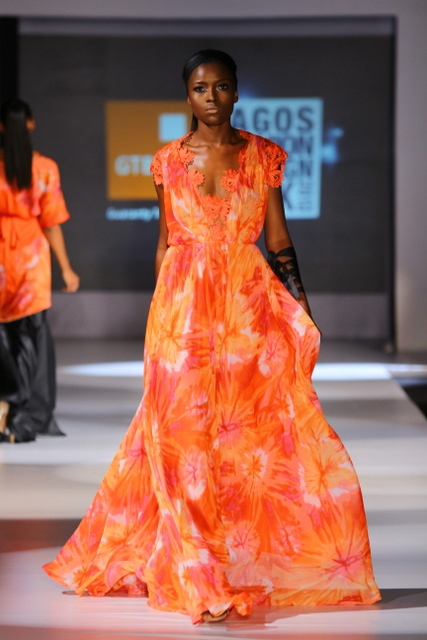 The Ejiro Amos Tafiri brand is on the verge of being one of Lagos, and dare I say it, Africa’s great female designers, always to be relied upon for pretty, feminine dresses that celebrate the ‘joie de vivre’ culture of Lagos. 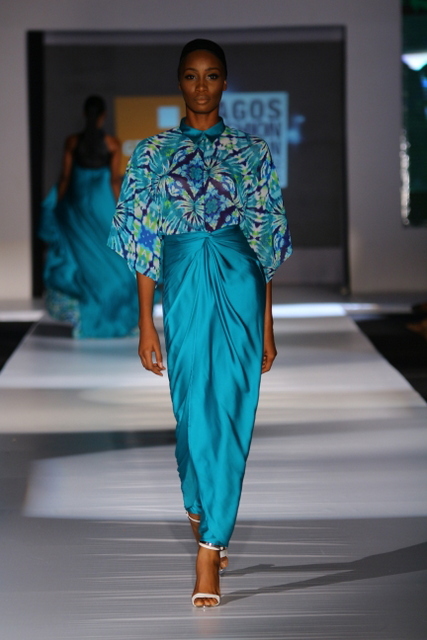 Her collection for the 2013 Lagos Fashion and Design Week, seems to be influenced by the cultural diversity of Lagos, and Africa, with bursts of green and blue silk materials fanning from the center of rich multicolored African prints. 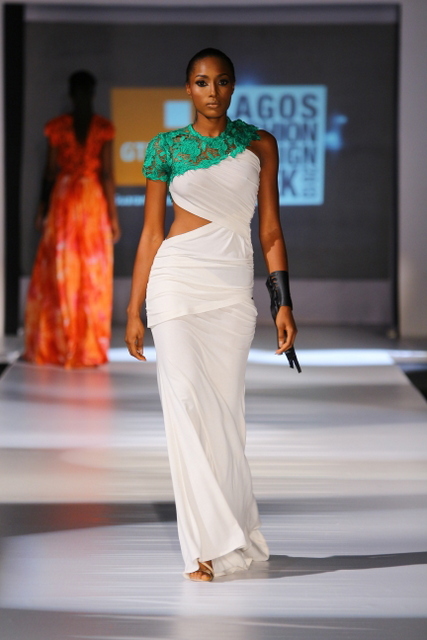 Each piece had a smouldering appeal in bold colors, her full length white dress with a sensual cut out at the side and green lace draping at the neckline displayed her talent for tailoring. 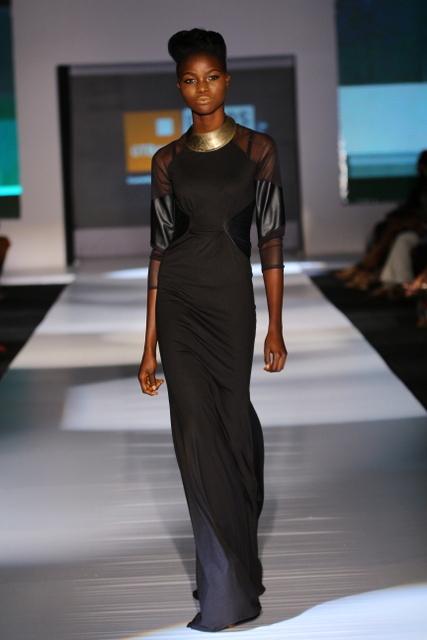 There were chic draped dresses that were fluid and casual, but had the right balance of confident femininity. 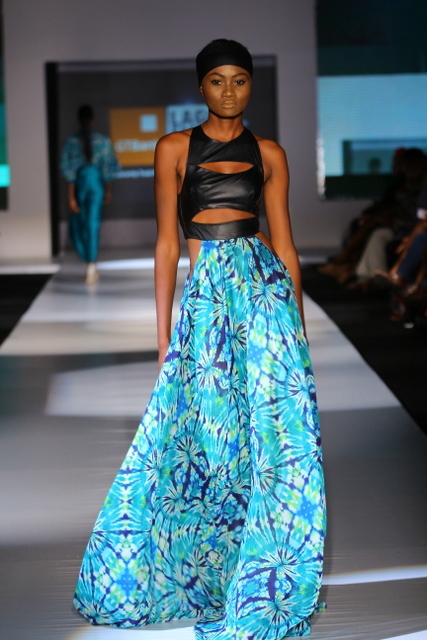 Ejiro Amos Tafari knows who she is dressing and I believe it’s for that woman who dares to be confident and feminine. I totally agree. 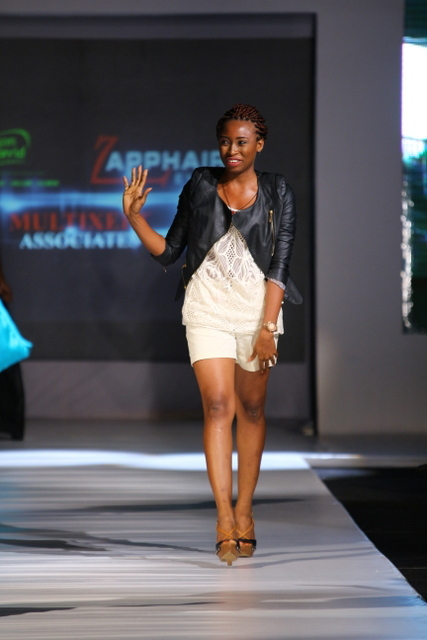 She’s one of the greatest Nigerian designers. She knows who she is, her strenghts and she doesn’t compromise for anyone….you can see that in her designs. She’s not trying to be anyone but herself and it shows. 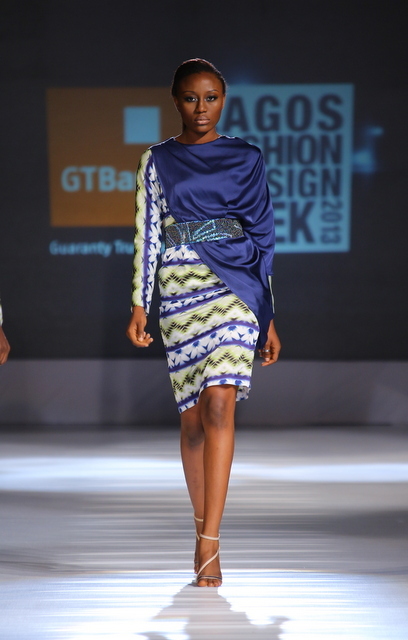 Unlike most of our Nigerian designers who you can’t iidentify from their designs. I can always tell an Ejiro A.T design when I see it. It’s almost like you are in my head and I totally agree, that why my review focused on certain designers, not all. 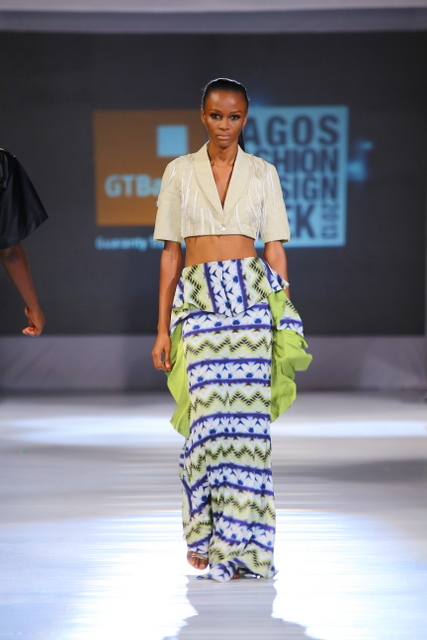 Ejiro designs are unique and they truly standout from the crowd of other designers who have somehow forgotten the importance of intelligent African-themed style. Thank you so much for stopping by. I totally agree. She’s been an inspiration to me as a budding designer. 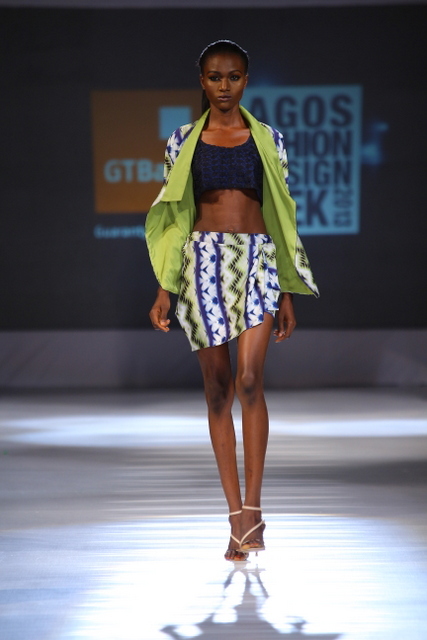 She schooled in a Nigerian Fashion School (distinction in her class) and worked with Nigerian designers. I schooled in the UK and have still never seen a more impressive Nigerian designer, who shows growth in every collection I see. 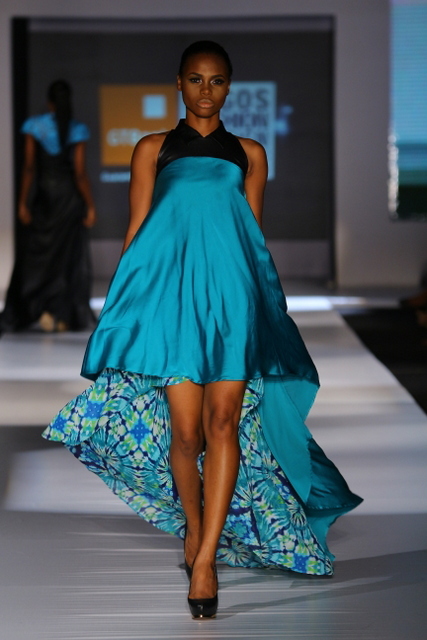 great minds think alike and I am totally in love with Ejiro’s work. There are few designers out there who take pride in creating pieces that reflect their cultural heritage and she is definitely one of them. I truly wish her much success and thank you so much for stopping by.